Sorry friends. This workaround to post more than 30 hashtag no longer works. It stopped working about a month ago in October 2018. I think it is more beneficial for you to stick to posting 30 or less hashtags per post now anyway. From my testing, it doesn’t seem to matter if you post it in your caption or in your comments. I’ve done both and engagement is still the same for me. You can still hide hashtags using this method (click here). That still works. 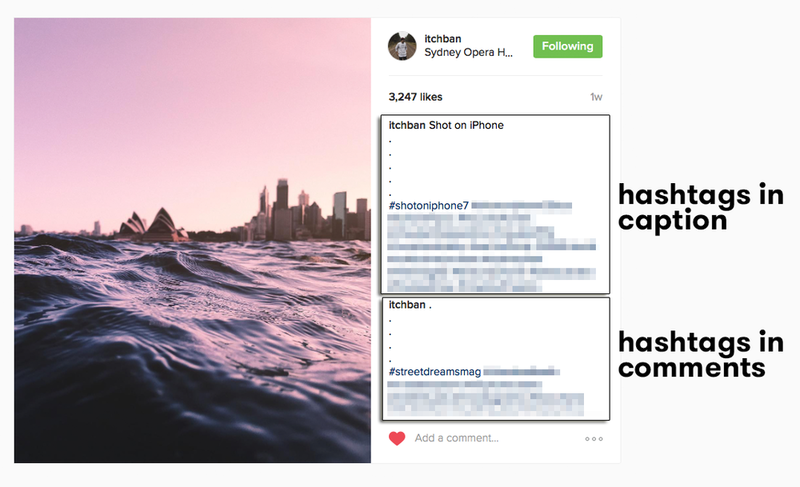 Hashtags on Instagram help you get your photos out into the world. You may not like them, but they are definitely necessary if you want your content to reach a wider audience. If you try to add any more, your comment will not upload and there will be a red exclamation mark noting an error. Currently, there is a work around that allows you to add more than the maximum of 30 tags. If you do it correctly you can add up to 60 hashtags per photo / video. It involves posting 30 hashtags to your comments section, and another 30 to your original caption. Post your photo / video. Make sure there are zero hashtags in the original caption. Edit your photo's original caption. From here, you can add up to 30 additional hashtags to your photo's original caption(bringing your total up to 60). *Please note: you must follow these steps in their exact order for it to work. - Too many hashtags can be messy and annoying. If you are going to use the full 60 hashtags make sure you hide the hashtags and space them out properly (like photo above). Read more about how to hide hashtags & format them here. - Hashtags are only effective if you add them as soon as you post your photo video. Read more about this here. - Not sure which hashtags are the best for you? Read more about the best hashtags to use here. Using more than the maximum amount of hashtags is totally up to you. I find that it especially helps me find new likes & followers when my photo hits top posts.